DiFFERENT CONDITIONS in DIFFERENT MONTHS – please consider this! 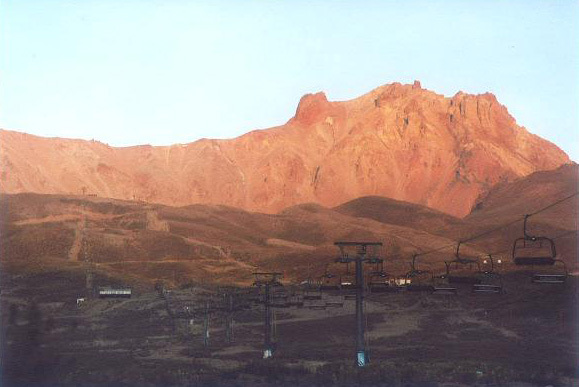 (See area picture below and detailed climbing pictures in the picture book): Chair-Lift (Zümrüt I and II) starts at 6 am in the morning , 2 sections up to approx. 2750m (ride takes about 30mins, costs Lira 20.-). Start approx. 6.45 am – from the chair-lift top station straight up – crossing a gravel road, proceed straight up (moderate grade – nearly flat) till you see left hand the slope and ridge leading a long way up to approx. 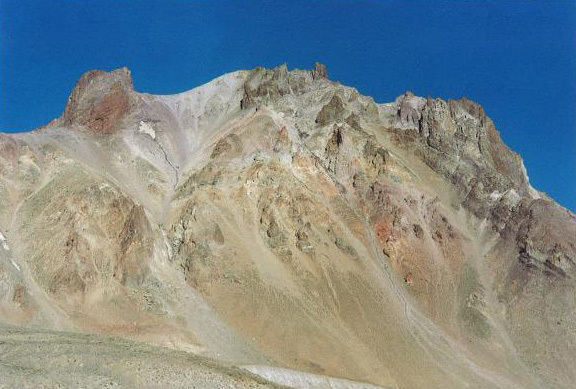 3700m (you will see the path on the ridge as well). Follow the more or less visible path up to the ridge and follow more or less step the ridge up to 3700m (sometimes a bit up and down). 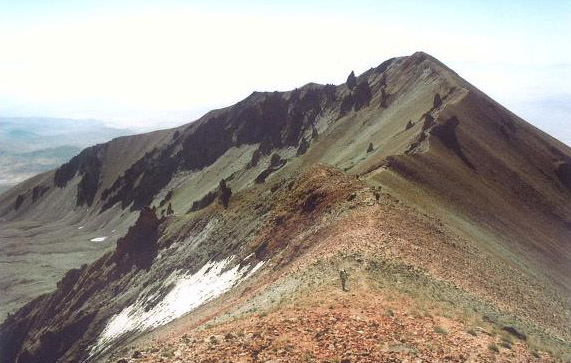 Very nice view to the South and East and to the rocky summit area of Erciyes. 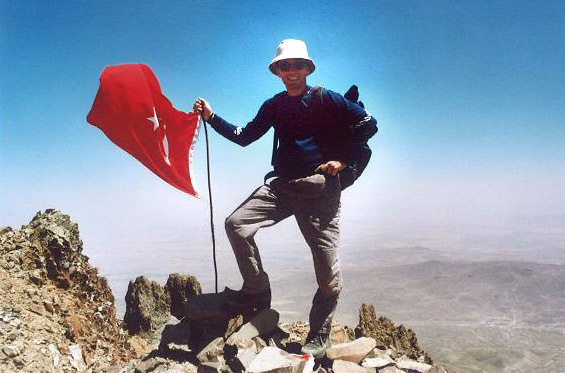 After reaching Parmak Kaya summit his ridge turns flat – proceed over bigger stones and rocks (northwards) till you reach a very step and quite impressive wall. 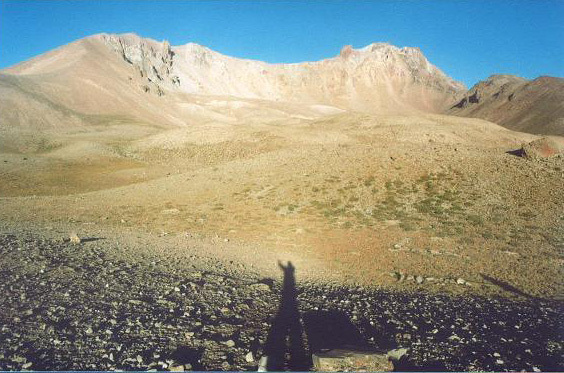 You have to bypass this wall of the Hörgüc Kaya summit to your right – so just cross along the wall to the right site and pass a small snowfield (in other months big snowfield) steady up (take care-extremely dangerous because of falling rocks if more people are climbing – very loose stones, gravel and rocks!). 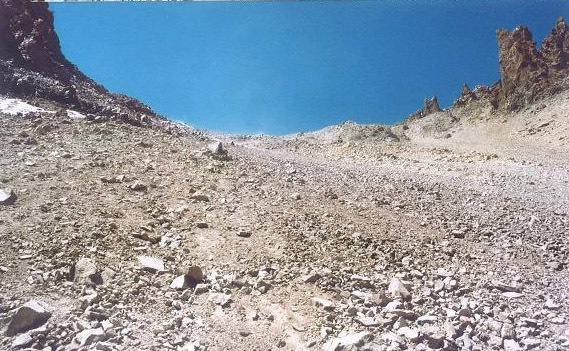 After the snow field you have to climb very step just up steady to the next visible ridge - this is the trickiest and most dangerous part of the climb – make sure you pass this “gravel field” as fast as possible. 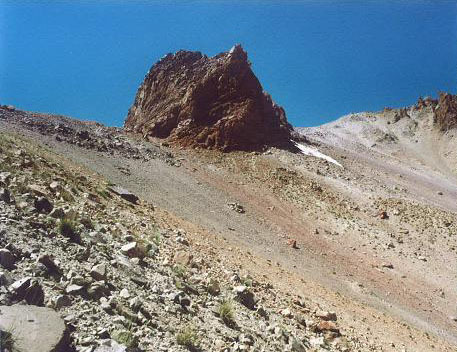 Once you have reached the ridge just proceed on it to the “first” summit of Erciyes, which is approx. 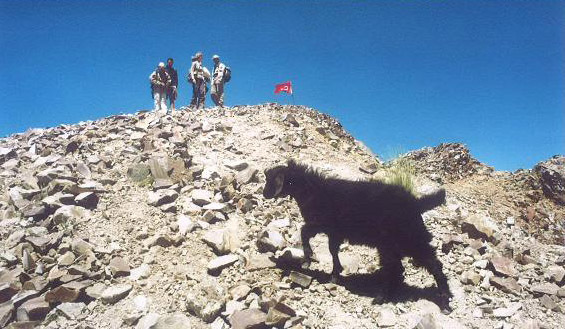 3890m high and has the Turkish flag on it. Enjoy the magnificent view to all directions (e.g. 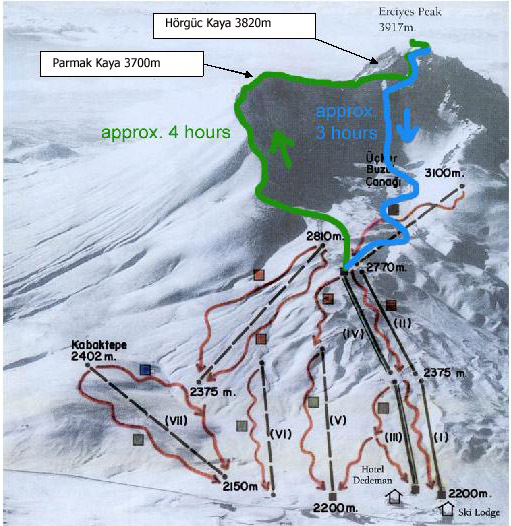 Taurus mountain ridge, Kayseri, Develi lowland, Erciyes skiing area ....). 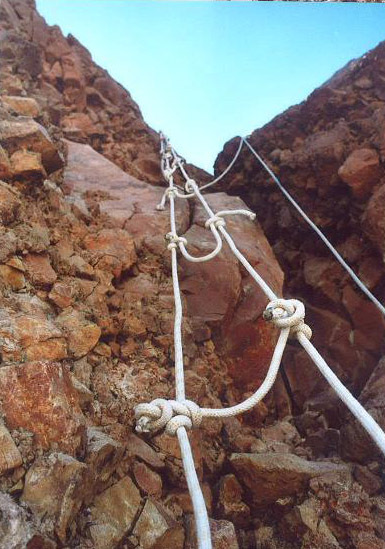 – this REAL climb takes about 30 mins – Rope climbing experience is needed! DO NOT proceed if you are not sure about it! 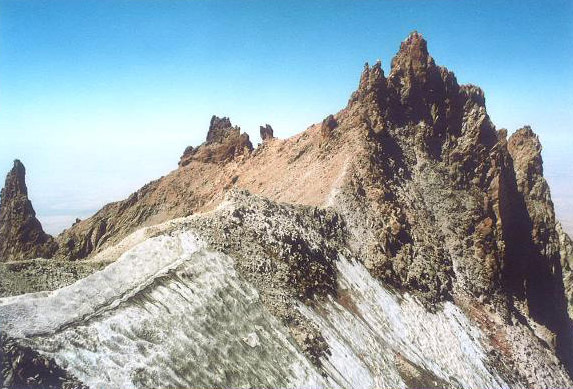 the summit – then you will see on your left-hand side the rope-ladder (north side of Erciyes – in the shady side) which leads up to the highest point of Erciyes. This rope-ladder is approx. 10m long and vertical – climbing experience to the II.grade is needed – once you got up you will find a small rocky summit with a metal stick and the second (real) summit book. 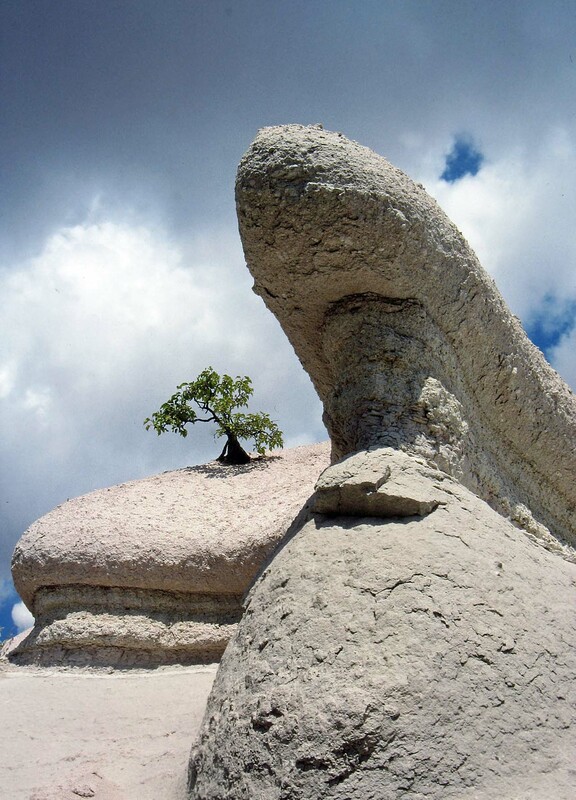 DON'T climb up the rock ladder if you are not experienced with rope climbing! The easiest way is to take the same way down you came up – this takes about 3 ½ hours. The second possibility (blue line on the climbing map) is the direct route (approx. 3 hours). 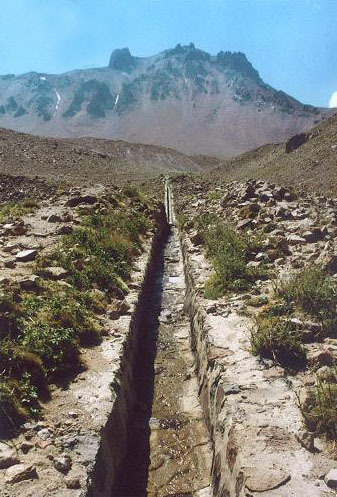 This route starts after you have bypassed the Hörgüc Kaya wall on your way up. 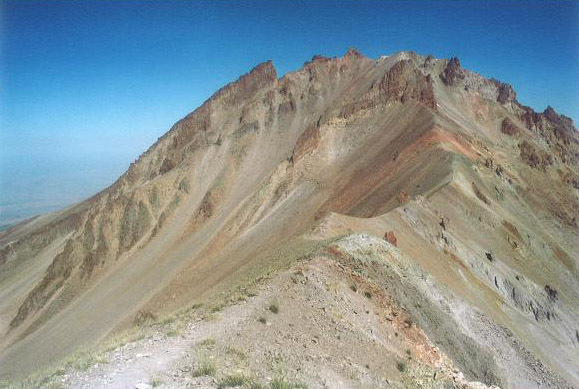 You will see a path leading down from the ridge. Experience with loose stones and gravel is needed so I do not describe this path. You will have to find your way anyway as the area is constantly changing due to the snow melting. If you take this path you have to reach the water pipe, which is visible from the path, basically. 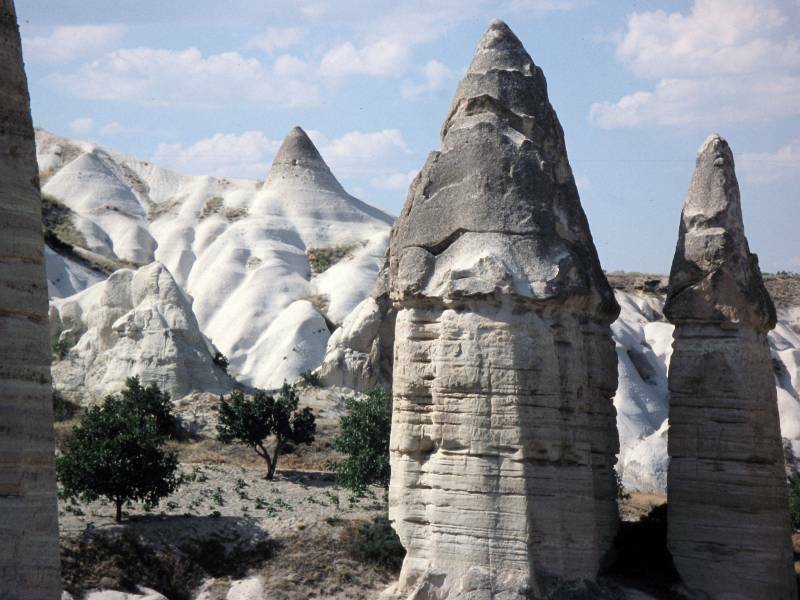 Enjoy your ERCIYES climb and good luck – you can get a glimpse about it by watching these pictures.